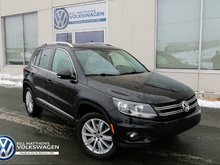 When the Tiguan was released, the tagline was "The people want to play, but they want to play nice." 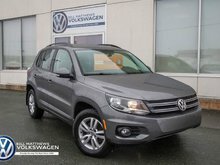 That means that this compact crossover SUV is perfect to take camping on the weekends then take the kids to school on Monday morning. 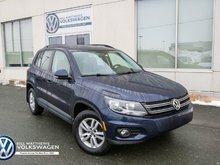 This Certified Pre-Owned Volkswagen has all-wheel-drive and only 26,000kms (Wow!). It has a clean CarFax report and has received its 60,000km service check. We've given it a wheel alignment, brand-new tires, new wiper blades, a new windshield, and all-new front & rear brakes. For the professional and personal touch, please text/email 'B199232' to Jonathan at 709-685-0749 or jsimon@billmatthews.ca for an immediate response.